This is a coloring book with a hidden picture twist. Usually, I ignore the hidden images because they are random items, such as jewels, cups, etc. which do not pertain to the overall image. In Into the Woods the hidden objects are relevant to the designs as they are items which you would find in forests and streams. It made it fun to find them and color them to become part of the overall picture. In my first project in the book, I even found an imagine that wasn’t a hidden image after all. The designs are of mostly trees their branches and roots. Some of the designs expand further and include other parts of the woods including streams, grassland, sky, and horizon. The designs have doodle elements which make them detailed in nature. However, though they are detailed, I did not find them intricate or difficult to color. I’ll post a photo of my first project as well as samples from the book. The book includes a key at the front of the book that shows you the hidden images and even tells you which plates or designs on which they are included. At the back of the book, there are several pages of solutions which show you were the hidden objects are on the design. I think these extra pages are the reason why this book has only 28 designs when Creative Haven usually provides 31 in their coloring books. This is what I experienced while coloring in this book and testing the paper with my coloring medium. I will list, in the comments section below, the coloring medium I use for testing and for coloring. Gel pens and India ink pens leave shadows of color on the back of the page. India ink pens can bleed through if you apply heavily or with with multiple layers. Coloring pencils work well with this paper. I was able to use both wax and oil based pencils equally well. They lay down good color, layer the same color and multiple colors and blend easily using a pencil style blender. Hard lead pencils, like Verithins, leave dents on the back of the page. I either use a blotter page under my working page or I remove pages from the book to color. I like card stock for my blotter page but a couple of sheets of heavyweight paper works as well. This is a really cute coloring book interpretation of Alice in Wonderland. It is definitely different from any Alice coloring books that I own (and I own several of them being a fan of the story.) The illustrations by Ksenia Spirina follow the story well and have Alice as a sprightly young girl with almost a puppet type look to her face. She has round circles for cheeks and a rounded wedge shaped nose. The other characters are cute as well even the mean old queen. There are a couple of wall-paper style designs in the books but not that many and they are cute as well. It appears that Okami Coloring and Storytroll publishing companies are somehow connected as they list both publishers books at the end of this book. I really appreciate the quality of their artists though the CreateSpace paper always leaves something to be desired. I also appreciate that they have included the actual artist’s name though they seem to be developing a specific name (Julia Rivers) to cover the coloring books they deliver. This is similar to what another publisher has done with the name Jade Summer. The designs are detailed but do not, for the most part, include intricate elements with lots of tiny spots to color. The designs do not merge into the binding. While there is no framing line at the outer edges of most of the designs, the elements at the edges are finished so it is easier to color. I am a fan of Alice in Wonderland and Through the Looking Glass coloring books. In this version, the artist (Shalla Mar N. Mugot) takes us on a journey that presupposes that Alice’s daydream has turned into a nightmare. The illustrations stay true to the original story in spirit but present the journey with scary characters. It makes for an unusual look at a well-known story. I don’t recommend the coloring book for young children (both for content and detail) but adults should have no problems with the images. Be sure to check my silent, full-book video to see if this coloring book will work for you. The publishing company (Storytroll Studios) seems to have a partnership of some sorts with Okami Coloring as their books are listed together on the back pages of this coloring book and on Storytroll’s website. Whether they are partners or Okami is working under a new name is fine with me. I really appreciate the quality of their artists though the CreateSpace paper always leaves something to be desired. I also appreciate that they have included the actual artist’s name though they seem to be developing a specific name (Julia Rivers) to cover the coloring books they deliver. This is similar to what another publisher has done with the name Jade Summer. Magical Owls is a great coloring book of designs by Alina Marchenko. Her owls are different from others that I have seen and are placed in interesting scenarios. From geometric to steampunk to even being used a ladies hats, the owls are a refreshing change from many of the stock designs that appear in other coloring books. The designs do not merge into the binding. While there is no framing line at the outer edges of the designs, the elements at the edges are finished so it is easier to color. I will include both a silent flip-through video of the entire book as well as some sample photos so you can see if this coloring book will suit your needs. The designs are detailed and some have intricate and small areas to color. Most of the pages are black line designs on white; however, some have black printed backgrounds. Once again as in Sirena there is a fairly heavy use of black on some designs though in this case, it is the backgrounds. The lines of the designs are a heavy black as well. Phoenix Amulet (the publisher) has indeed set the bar high for other publishers to try to match. The paper a good heavy weight with good tooth for colored pencils. The designs are printed one-sided, the pages have excellent perforations and, best of all, has a covered spiral binding that makes it easy to open and lay this book flat for coloring. The only improvement I could suggest would be a framing line at the outer edges of the design so that I don’t have to try to color at the edges of the page. 41 Mask inspired designs including one poster page that is a double size fold-out page. Binding is spiral with the cover protecting the spiral. The book lays flat in the open position for ease of coloring. Alcohol based markers bleed through this paper. If you use this coloring medium, I highly suggest that you either remove pages before coloring, or as I do, use card stock or several sheets of paper as a blotter below the working page. That will keep the pages or the surface below from being marred. Water based markers, India ink pens and gel pens do not bleed through the paper though some left the slight shadow of the back of the page. Coloring pencils extremely worked well. The paper is definitely rough to the touch and has excellent tooth for pencils. Both oil and wax based pencils worked very well for providing good pigment. I was able to layer the same color for deeper tones, layer multiple colors and to blend easily using a pencil style blending stick as well as wet blending medium for excellent results. This is my first coloring book of mandala designs by Jade Summer. The artists that illustrate the books under this name are a wide variety from human forms to more geometric designs, such as this book of mandalas. I cannot tell if a single artist is responsible for the designs in this book but a number of them seem to be done in similar styles. The mandalas are in circular style format. There are geometric designs with straight lines, curving designs with elegant flowing lines and designs which include animals and insects as the main focal point. It is a really nice mix for those who love to color mandalas. I have a few mandala books in my collection and am really pleased to have purchased this one as it provides so much variety in one coloring book. The skill level for coloring these designs is a wide variety with some designs being detailed and others open and easy to color. None of them would be what I call intricate and difficult to color. 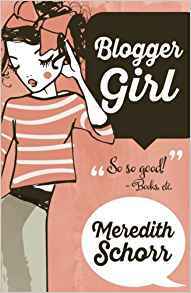 “Blogger Girl” is the first book by Meredith Schorr that I have read. I generally read mysteries, chick-lit and a few romance books as well. This book definitely falls into the chick-lit category. Kimberly Long is a legal secretary by day and a chick-lit book blogger/reviewer by night. This caught my attention because, early in my own career, I was a paralegal who both wrote and designed by night. I could well understand the crush of things to do that Kim was constantly battling with. 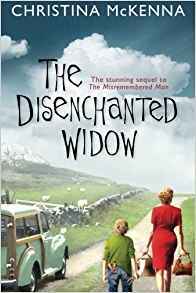 “The Disenchanted Widow” is the story of Bessie, a widow who runs away from Belfast with her young son, stopping only to take a few prized possessions with her. She is running from a brutal IRA enforcer who was on the outs with her late and unlamented husband. She ends up in a small town with a very interesting cast of characters. The book is a slice of life – not a mystery or a romance. Some of the dialect was a little difficult to follow but the storyline made up for this. The author took a very difficult time in history and was able to insert a charming story into the period. I enjoyed the novel and look forward to more by Ms. McKenna in the future. Unlike many of Ruth Sanderson’s recent grayscale coloring books, this lovely book of cat designs are done in line drawing format. The designs show a variety of stylized cats and anthropomorphic cats (those wearing human clothes and displaying human characteristics.) Interestingly enough, it is the latter cats which look most realistic though they are dressed as humans. One of my favorite designs is of a cat in human clothes who apparently has kittens as pets. The stylized cats have bold lines and have plenty of room for shading and ease of coloring. The anthropomorphic cats are done with a lighter touch and a high level of detail. Most also include some small and intricate areas to color. I have purchased many of Bennett Klein’s grayscale coloring books and one of my favorites is Colour My Sketchbook Wild. When I saw that Mr. Klein had a follow-on volume, Wild 2, I purchased it immediately and sight unseen. In the Wild coloring books, Mr. Klein steps away from his beautiful and unusual fantasy designs and looks at animals in a much more realistic manner. I noticed that, unlike the first volume, Mr. Klein’s daughter, Mae, does not seem to be involved in this coloring book. I’ve seen that she has a highly successful coloring book in her own right now. It makes for a difference between the two volumes. The first one had lace-style backgrounds but this one does not. When there are backgrounds in this images, they are more realistically portrayed. Many designs simply do not have backgrounds at all. I like to have the change as it provides a different challenge for me to color. With grayscale coloring, I prefer to use both my markers and my colored pencils. I use markers for background and first layer of colors and then pencils for details and shading. Colored pencils work well with this paper. Both oil and wax based provide good color when I use multiple layers of the same color. I am easily able to blend (using a pencil style blender stick) and layer multiple colors as well. I generally don’t use blender stick with grayscale as I prefer to use lighter color pencils for my blending to mesh the light, medium and dark colors together. Hard lead pencils leave dents through the back of the page.